Posted on January 10, 2014. Bookmark the permalink. Leave a comment. Please call ahead or text to get today's shop hours. Call me! Get the latest blog updates, tennis news, Orlando tennis news, and Racquet Quest specials in your favorite social media stream! Follow Racquet Quest on Twitter and Facebook. What Shape is Your String in? Get Racquet Quest Posts in your Inbox! Receive an email every day when we update Racquet Quest! Click here to go directly to our Recommended Stringing Frequency calculator! Sign up for Text Alerts from RQ! Sign up to get alerts of store hours and Racquet Quest specials via text message. Will Poor Stringing Save the Life of Polyester? Now You Think of it! Translate RacquetQuest into different languages here. Please click the Driving Directions links above. Call me! Serving Orlando, Winter Park, Central Florida, and the World! 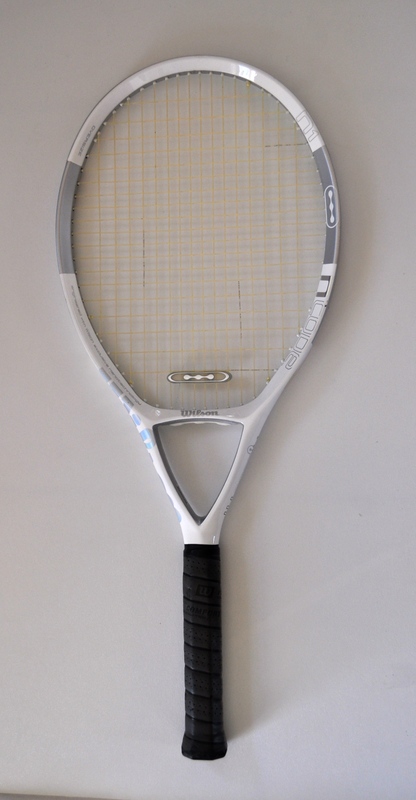 Wilson Blade 104...What is the Difference? Find Orlando public tennis courts! Private tennis courts are coming soon! If you find other facilities that should be modified or removed from our "list" please let me know.